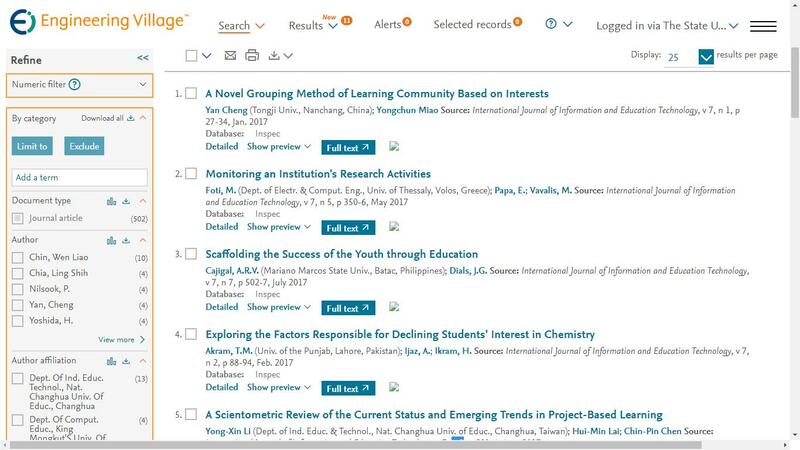 Abstract—Computer Supported Collaborative Learning (CSCL) is considered to be helpful in fostering collaborative and computer skills. CSCL is also thought to contribute to higher order thinking. In this study, CSCL was conducted to a total of 480 students enrolled in a prerequisite course in a Japanese higher education setting. A groupware that allowed synchronous group work was integrated and used. Pre and post surveys were delivered to analyze students` awareness of collaborative skills. Confidence level of computer skills was also investigated. The study showed that administering CSCL improves students` awareness in collaborative skills such as interpersonal skills, inquiry skills and group management skills, as well as raise the students` confidence level of computer skills. Index Terms—Collaborative learning, ICT, student awareness, computer skills. M. Iinuma, T. Matsuhashi, T. Nakamura, and H. Chiyokura are with the Department of Media Science, Tokyo University of Technology, Tokyo, Japan (e-mail: iinuma@stf.teu.ac.jp). Cite: M. Iinuma, T. Matsuhashi, T. Nakamura, and H. Chiyokura, "Student Awareness Change in Computer Supported Collaborative Learning (CSCL) Environment," International Journal of Information and Education Technology vol. 6, no. 6, pp. 448-452, 2016.